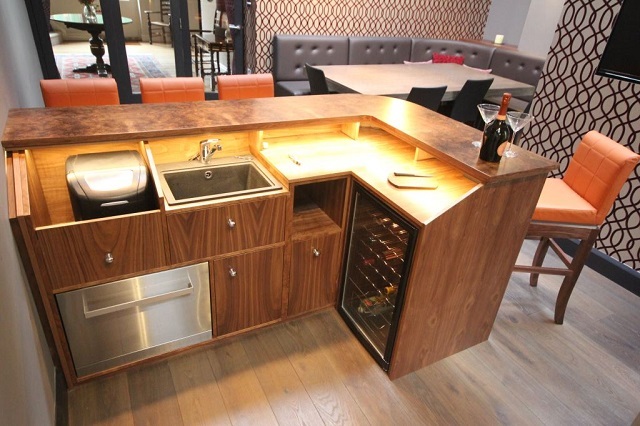 A fantastic, luxury home bar in Walnut, Oak and other materials. 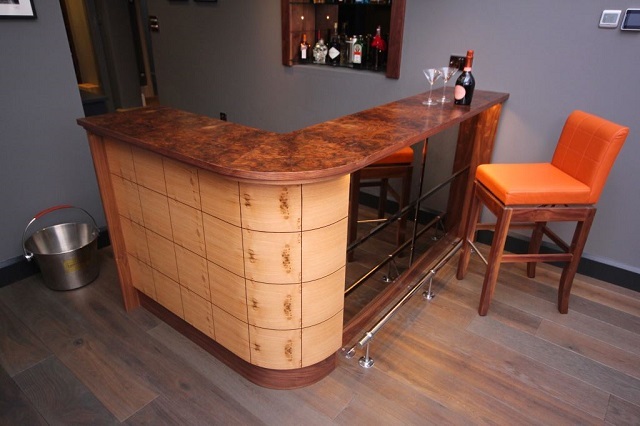 The bar top is veneered in fantastic walnut cluster. 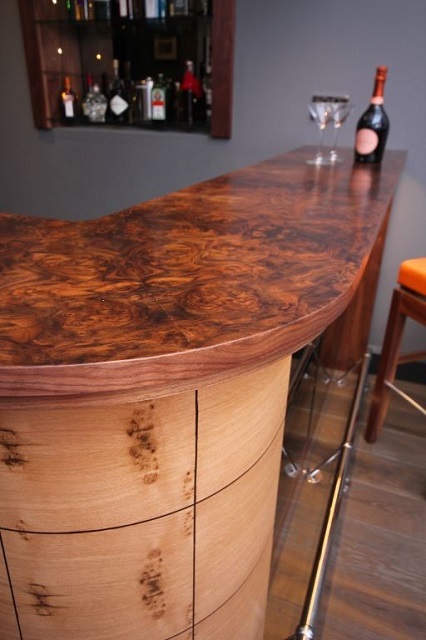 Below the top there are two sections to the bar one with a lovely curved section of pippy oak and walnut. The other section of the bar has extra knee space with a chrome footrest and antiqued, bronzed mirrors. 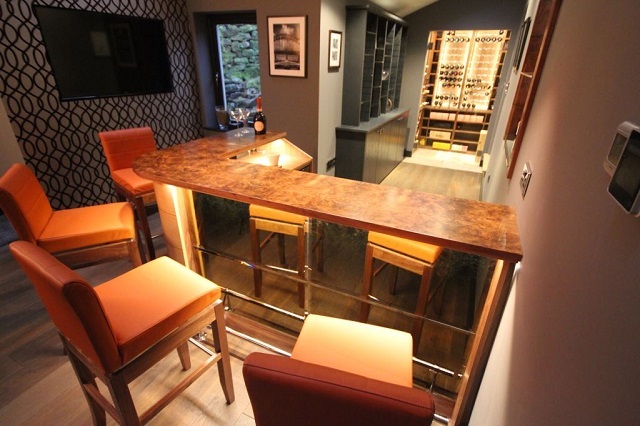 The wet bar is fully equipped and plumbed into the electrics and plumbing of the home. There is a fridge, sink, dishwasher, ice machine, display lighting and feature lighting. The client tells us that the bar is a roaring success and has greatly added to their family and party events. The clients have hired in professional bar staff to really add to those big occasions.